When we set out to design our 2nd generation electric standing desk - the Vortex Series, we have two main things on our mind. 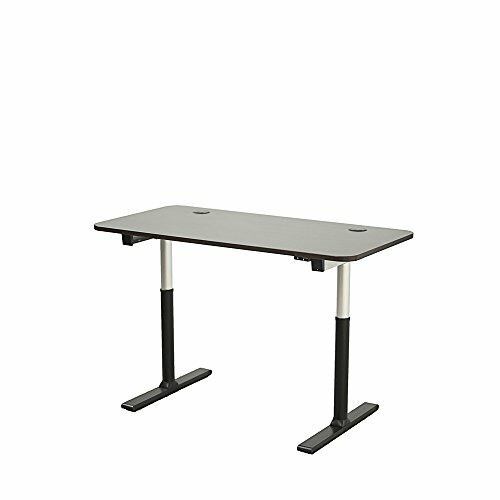 Stability - Our 1st generation Apex Series desk has won wide acclaim as one of the most stable desks in the market. We want to take a step further and make it more stable. All standing desk in the market wobbles somewhat at standing height. Crossbar is often used to stabilize the desk. But it takes away some leg room and the flexibility of adding an exercise bike/treadmill by some users. We want ours to be free of crossbar. After many experiments, we have come up with an unique solution by adding a bearing that synchronizes with desk movement to improve stability between sections. We have also added anti-collision function -- the desk stops automatically if its movement is obstructed. Look - Standing desks are long on functionality but short on aesthetics. They all look alike - a top over two lifting columns. We are yet to break away from that norm. But we have made ours stand out from the crowd by using brushed aluminum rather than steel, and using black/silver colors rather than one solid color for our underframe. The rounded corners of the top go perfectly with the round lifting columns of the underframe. The end result is quite remarkable - a 30% lighter and 30% more stable desk that looks amazing. This product meets the minimum requirements of ANSI/BIFMA standards.